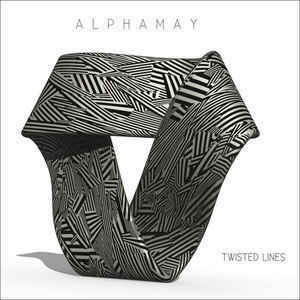 Background/Info: Alphamay is a German duo dealing with electro-pop which has released their debut album “Twisted Lines” earlier this year. Content: The album reveals 11 songs characterized by a clear fascination for electronic-pop music. It moves from ‘classical’ synth-pop music reminding me of early Depeche Mode towards harder pop compositions touching some EBM ground. There’s a constant retro-touch in the background of their work, which I’m sure will appeal to lovers of 80s synth-pop nostalgia. The singer has a rather deep timbre of voice while singing in a rather passionate way. It creates a great match on the ‘harder’ cuts. But he also sings in a more whispering way on ‘softer’ passages, which are also pretty danceable. 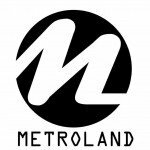 + + + : “Twisted Lines” is not exactly the most original release in the genre, but it’s a well-crafted and successful debut work revealing a nice twist between good-old synth-pop standards and body-pop cuts. – – – : The album is missing a hit, which would make the album really interesting. Alphamy has now released a single of “Silence Emotion”, which in my opinion is not exactly the song with the hugest potential. Conclusion: It will be not easy for Alphamay to find a place under the electro-pop spotlights although this work features some nice cuts. Best songs: “Weak Philosophy”, “Summer Of ‘89”, “The Rising Moon”.